[Free Pattern] This Mother-Hood-Scarf Is Fabulous! I love Moccasins, they are so great for wearing during the transitional weather stage from cold to warm or warm weather/season to cold weather/season. Not only they are comfortable but they are also stylish and have been for many decades now. They basically won the test of time! 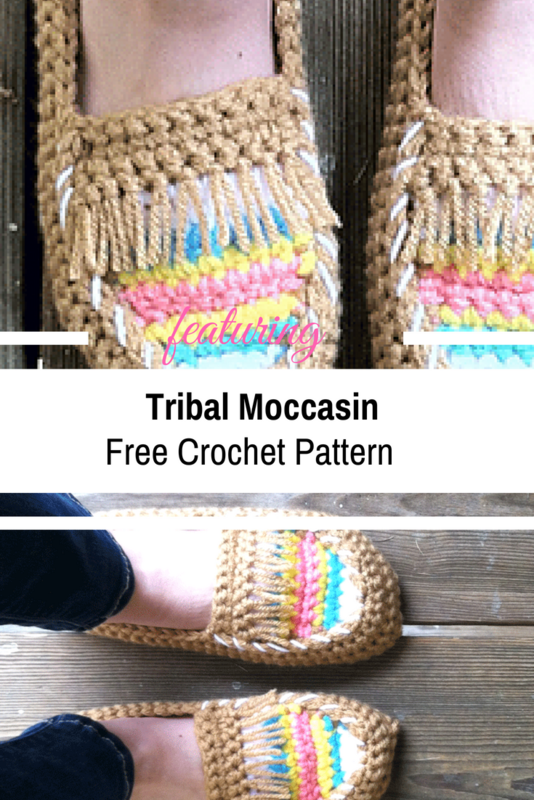 The Tribal Moccasin Tutorial courtesy of Brittany Dickson is based on this pattern that used to be free a couple of years ago. Yet the photo-tutorial and detailed step by step explanation offered on the Just Be Crafty website may be enough for you to create your own gorgeous pair of Moccasins. The moccasins crochet up really fast an can be customized to fit any foot. I recommend trying them on as you go to make sure you are getting the fit that is most comfortable fit for you. 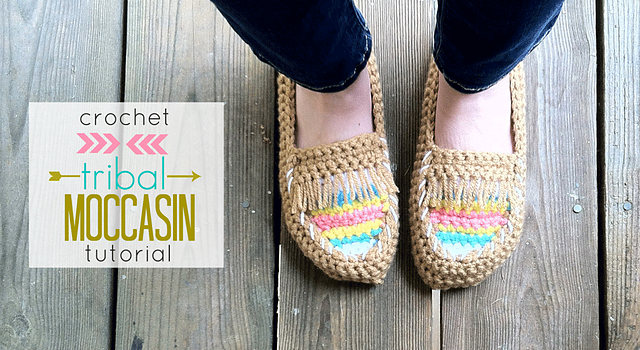 Check out the Crochet Tribal Moccasin Tutorial at: Just Be Crafty. Thanks to Brittany Dickson for the article inspiration and featured image.